Q: How can I view prices on the stock videos? A: Hover your mouse over the video and then click "Buy License." A menu will open with all the versions and corresponding prices. Q: Why are the videos priced differently? 1.) Micro Clips - these range in duration from 2 to 14 secs. For those times when you only need a brief scene to inspire interest or are working on a single short project. 2.) Premium Clips - these are longer in duration, from 15 secs to 45 secs. Use these if your project needs a more demanding presentation to get the story across. 3.) Video Bundles - these are Micro Clips sold as a discounted package to save you money. Consider buying these if you plan on making more trailers. Q: If I buy a video, can I cut it to suit my project? Q: Can I share the original video online / social media? A: No. Sharing the original video will enable other people to steal it. If this happens, your license will be revoked and you will be liable for any losses incurred due to digital theft. Only derivative works incorporating the video/s may be shared online. Q: What is a "derivative work?" A: This is the resulting work based on a single or multiple pre-existing copyrighted work after annotations, editorial, aesthetic, and digital revisions, or other alterations or modifications have been made which as a whole, represent an original work of authorship. Example: If you licensed some pre-existing copyrighted work at PI (such as stock videos) and edited them to add your branding, text, effects, etc., and cut them to suit the story you wish to present to your audience, this is now a "derivative work." Q: Can I copyright my "derivative work?" A: Yes you can, but the copyright only extends to the material that has been contributed to the original pre-existing copyrighted work.  PI retains all copyright on any original content used for the derivative work. Q: Can I share my licensed videos with my friends so they can use it too? A: No. Only the license holder has the permission to use licensed content. Q: I own a Video Editing company and we make several trailers for our clients. What type of license should I buy? A: The Multi-use, Multi-seat Video + Video Stills license, or if you do volume work, get the Multi-use, Multi Seat Video + Video Stills License for bundles. Q: I want to buy some of your stock videos but I don't know how to make a trailer. Can you help? A: Yes! We can refer you to an editing company or we can make your trailer for you at PI for an additional charge. Q: I have several books and I want to use the video I bought for a series. What license should I buy? A: The Multi-use, Multiple Seat Video License only, or the Multi-use Multiple Seat Video License + Video Stills License if you wish to use video "Stills" to promote your work. Q: Should I use 4K Videos for my book trailer? A: You don't need 4K videos for book trailers. The HD videos are more than good enough.